As an energy company, the Tokyo Gas Group is committed to engaging in responsible business activities and respecting the human rights of all people, including its employees. For us promoting human rights starts with the establishment of fair human resource selection procedures and the creation of a vibrant workplace, and we are pursuing various measures as a group to achieve these goals. In addition, we will continue to address human rights issues such as the promotion of diversity and prevention of harassment toward advancing our medium-term management plan GPS2020. 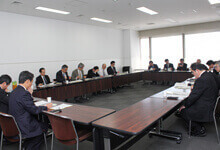 The Tokyo Gas Group has set up the 16-member Central Human Rights Promotional Committee chaired by the chief compliance officer and consisting mainly of the general managers responsible for personnel matters in each department. The committee meets once a year for a central human rights promotional meeting to confirm the Group’s overall understanding of human rights issues, results of training, and action plans for raising awareness for the next fiscal year. Subcommittees called District Human Rights Promotional Meetings, chaired by the general managers responsible for personnel matters in each department, are established under the committee, and district secretariats and human rights promotion leaders organize human rights training and related activities in each workplace. Since 1995 we have trained 15 cohorts of human rights promotion leaders to lead efforts in each workplace to create a vibrant workplace, and 225 leaders, including those at subsidiaries, have served as instructors during workplace workshops and as advisors for consultation desks on human rights. *Owing to forms of discrimination rooted in social structures that developed over the history of Japanese society, some segments of the Japanese population have been forced over the years to endure a lower status economically, socially and culturally and remain subject to various types of discrimination in their daily lives to this day. The Tokyo Gas Group strives to practice human rights due diligence in order to identify, prevent and mitigate human rights issues that arise along our value chain. 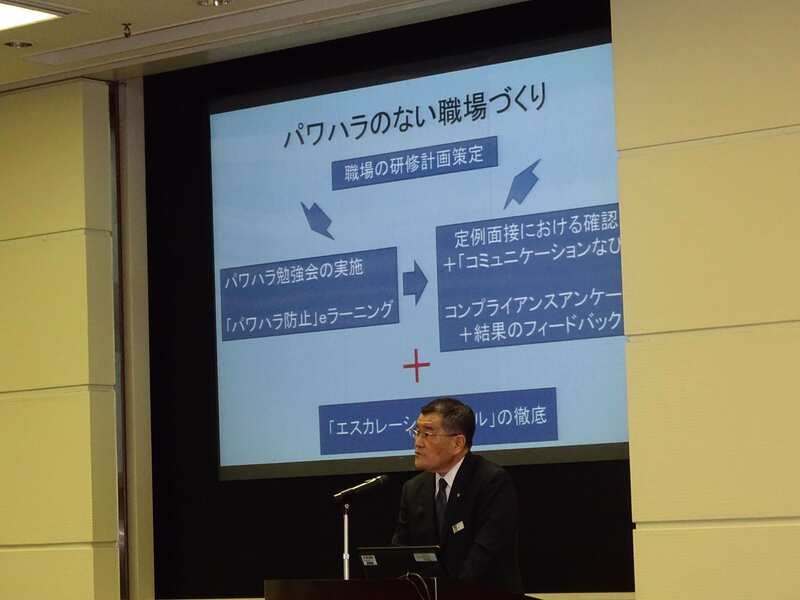 We have consistently engaged in the following major actions and will continue to strengthen our efforts in accordance with Tokyo Gas Group Human Rights Policy, formulated in February 2018.
Business partners Monitor the status of response to human rights issues at business partners based on CSR surveys. Customers Monitor the status of personal information management. is seeking consultation from being placed at a disadvantage. And we address issues through face-to-face consultations whenever possible in an effort to help create a safe and secure working environment by collaborating with employees. Tokyo Gas provides training for employees with the objective of creating a vibrant workplace. Through training we seek to understand the latest trends in human rights surrounding companies and to sharpen our sensitivity by learning about the significance of supply chain management as a social responsibility required of a global company as well as human rights issues, including the Dowa issue, harassment and communication in the workplace. We have adopted a participatory approach in many of our training programs to encourage participants to develop a personal awareness of issues. For example, we compiled workplace situations that make employees uneasy from a human rights perspective. These case studies are used as learning material in our level-specific training. In addition, we try to make our training as realistic as possible by having participants take a personal interest in a case study and discuss it with each other. *Training sessions with 20 participants were also given by instructors dispatched on request by government authorities. As part of our initiatives for respecting human rights throughout our supply chain in Japan and abroad, we present our suppliers with the Purchasing Guidelines for Suppliers and engage in management activities such as CSR surveys. With respect to the Tokyo Gas Group employees, we seek to ensure understanding of these guidelines and stringent adherence to Tokyo Gas Group Our Code of Conduct. Furthermore, we monitor the status of response to human rights issues by conducting surveys of suppliers. In March 2018, we held a human rights lecture on workplace tips for creating an inclusive society alongside people with disabilities. 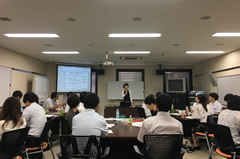 The lecture was attended by 350 participants, including members of the Central Human Rights Promotional Committee and human resources staff of Tokyo Gas, human rights education staff at subsidiaries, managers and heads of general administration departments of LIFEVAL companies, managers of Tokyo Gas Merchandisers Organization (TOMOS) members, and human rights promotion leaders. During Human Rights Week from December 4 to 10, we collect slogans for raising human rights awareness from employees and their families. In fiscal 2017, we received 11,317 entries, and posters of the best entries were displayed at each office.